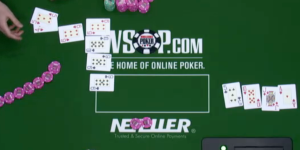 Within the Poker community Skrill and NETELLER are widely spread and accepted. Almost every poker player uses at least one of the providers and benefits of the Skrill MasterCard and NETELLER Net+ MasterCard to access their poker funds wherever MasterCard is accepted. With our FREE eWallet-Optimizer Program you enjoy various benefits, as additional support, faster VIP upgrades or monthly bonuses. Please feel free to check our Facebook gallery for references and last years eWO Bonus transfers and ask around – your friends might benefit from our monthly eWO Bonus for years already. Most of our Poker players prefer NETELLER, not just because of the much higher monthly eWO Bonus, but also because of the faster support and easier account handling. 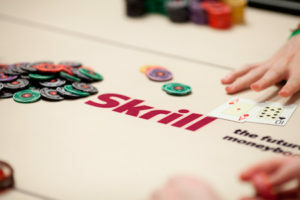 Using Skrill and NETELLER is easy, convenient and free for deposits and withdrawals to Poker Sites. At most poker sites your registered email address with them must match the one of your Skrill/NETELLER account. You can still ask the poker site’s support to get it changed afterwards, but it is much easier to keep this in mind when signing up with a new poker provider. Please check out the following table that shows which Poker Sites offer Skrill and/or NETELLER as a payment method and the conditions for depositing and withdrawing. This list is not conclusive and no responsibility can be taken for the correctness of the details provided. Please also not, you will receive our monthly bonuses for transfers to any poker site, not only the sites from the table below. Deposits as well as withdrawals are FREE at most Poker Sites. If there are any kind of fees for the specific Poker Site, it is mentioned in the “Special Remark” section, with no mentioning depositing and withdrawing is free. Deposited funds are instantly available for all Poker Sites offering Skrill and/or NETELLER as payment option. “Cashout Times” are given as business days. The data reflects experience of our clients, but can sometimes vary depending on your VIP or verification status at the Poker Site or the country you are from. 188bet Microgaming 2-5h Use USD to avoid FX fees. We recommend to verify your account before the first deposit. Betonline Chico 36h Withdrawal costs $20 fix (not available for Canadians). Black Chip Poker iPoker 24-72h You can use Bitcoins for your deposit and withdrawals. NetBet iPoker up to 2 weeks Minimum Cashout Amount: 30 EUR. PaddyPower Poker iPoker 2-3 days Use EUR account to avoid FX fees. PayNoRake Chico 24h guaranteed One withdrawal/month is free of charge, any additional costs $50 (max. 3,000 USD/week). Party Poker bwin.party 1-5 days Free Transfers since February 2016.
pokerLoco Microgaming 1-2 days Use EUR account to avoid FX fees. Tigergaming Chico 24h guaranteed *One withdrawal/month is free of charge, any additional costs 1% uncapped. Only selected countries supported. Titan Poker iPoker * 12-24h *Skrill is only availble for special countries. Check the link for your region. Triobet Poker iPoker * 12-24h Violating their T&Cs can result in a 5% cashout fee. Please proceed by following our instructions on how to join us. If you have any questions about poker sites and their eWallet conditions, please do not hesitate to contact us . We are here to help you.